Would you like to become a Special Friend of LARCC? 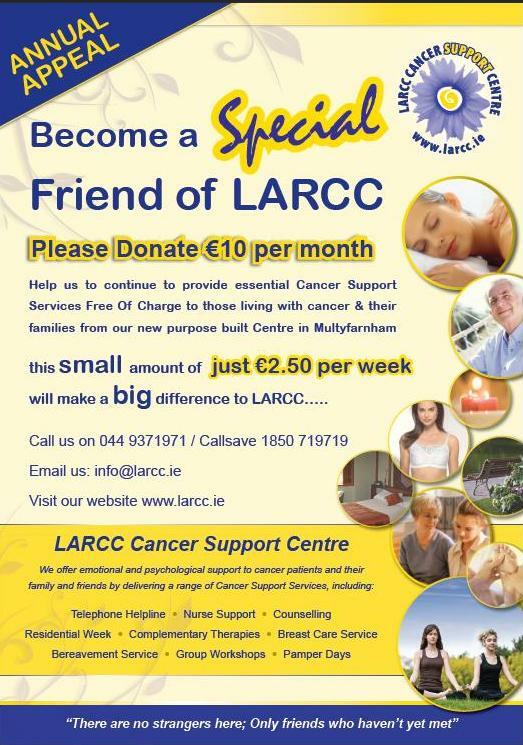 By Donating €10 per month ……..
Help us to provide essential Cancer Support Services from our purpose built Centre in Multyfarnham. 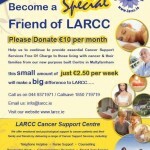 This small amount of just €2.50 per week will make a big difference to LARCC. If you would like to become a Special Friend of LARCC please contact us. We will be delighted to contact you by return and send you the necessary details.